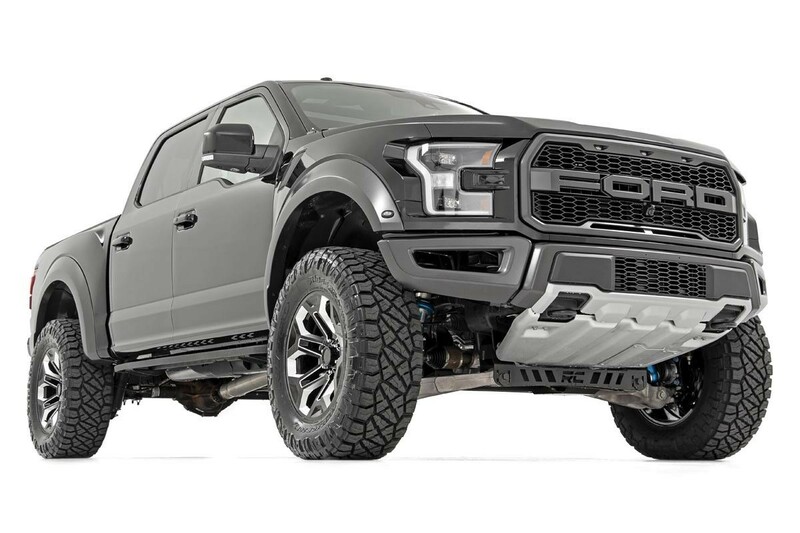 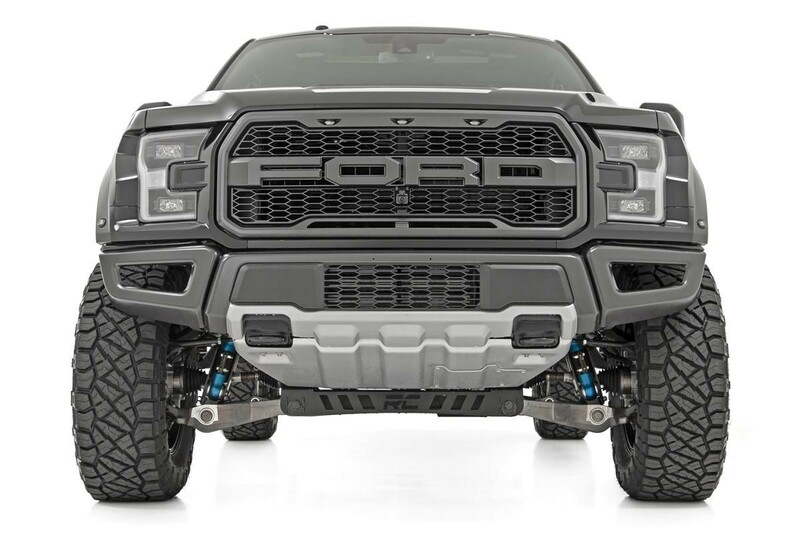 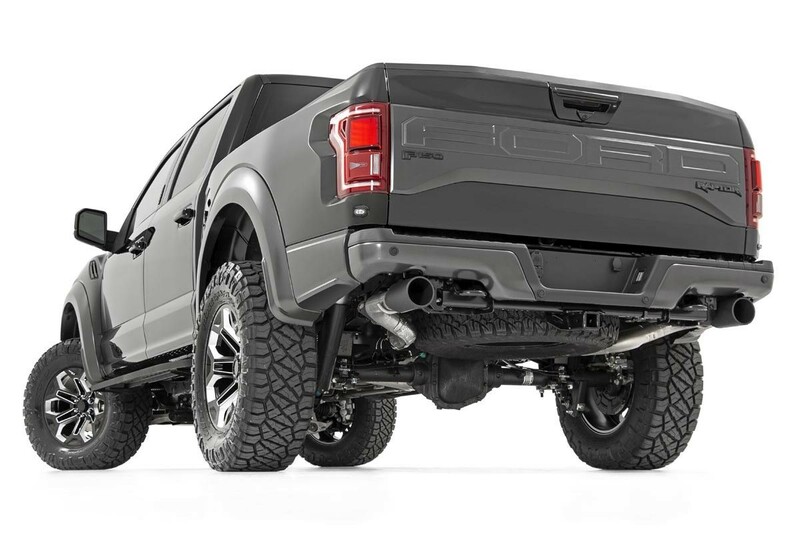 Transform your F-150 Raptor into the ultimate BEAST with Rough Country’s 4.5in Lift Kit. 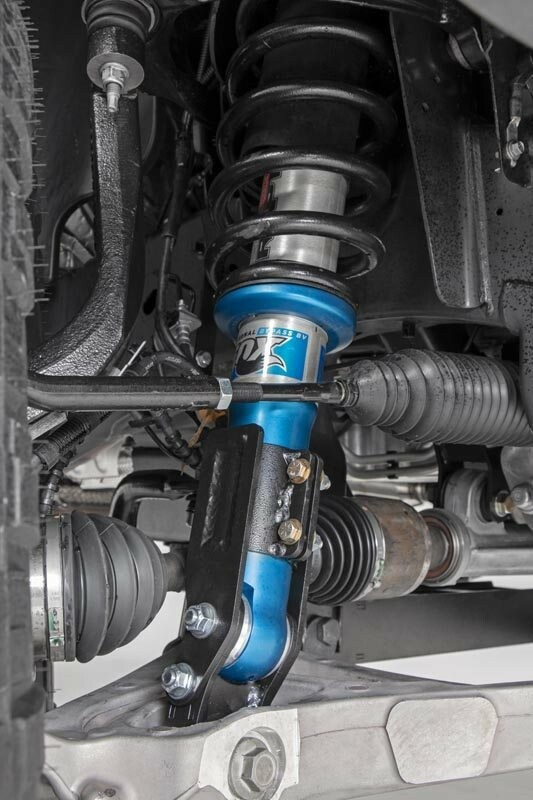 This innovative kit is designed to retain key components of the factory suspension so that you get the stance and lift height you want while maintaining the balance of smooth highway ride quality and off-road performance that Ford built into this impressive platform. 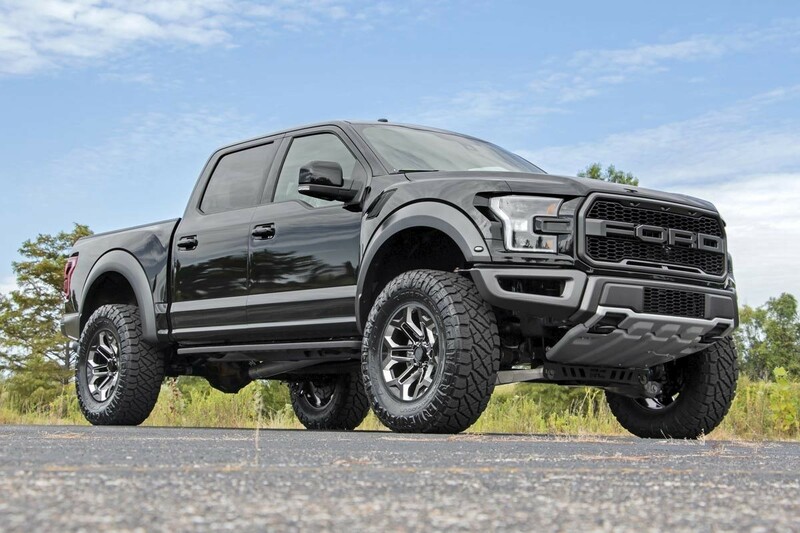 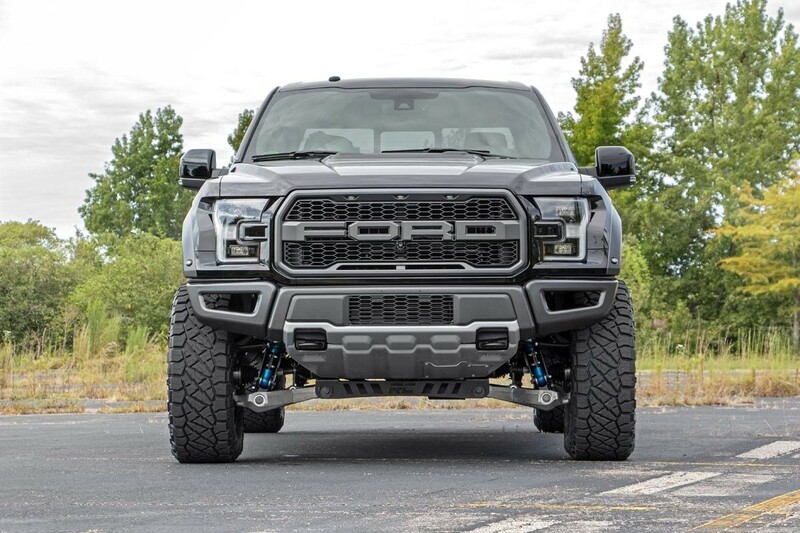 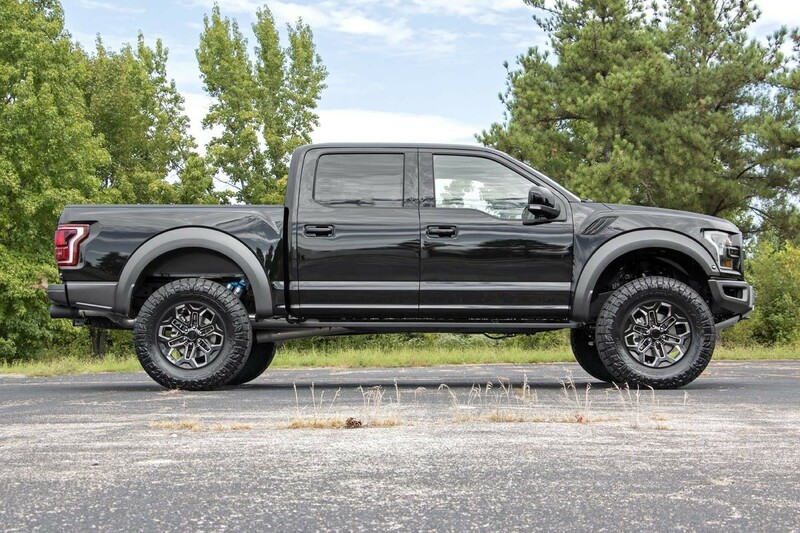 Give your F-150 Raptor enough ground clearance to run up to 37x12.50 tires for an aggressive, lifted stance that compliments the rugged, monster design of the Raptor build. 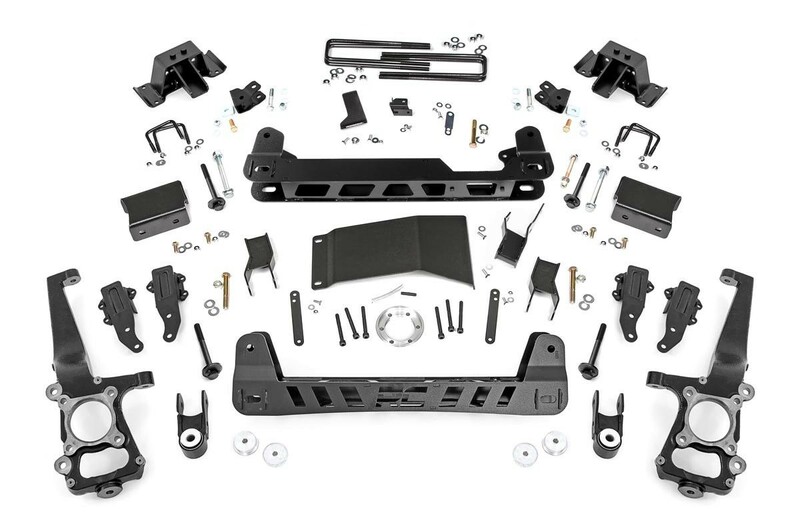 This all-inclusive kit features a set of front and rear crossmembers, lifted knuckles and a set of anti-wrap, fabricated rear blocks with built-in bumpstops!